This is an optional XRAY XB2 Factory Team Carpet Upgrade. 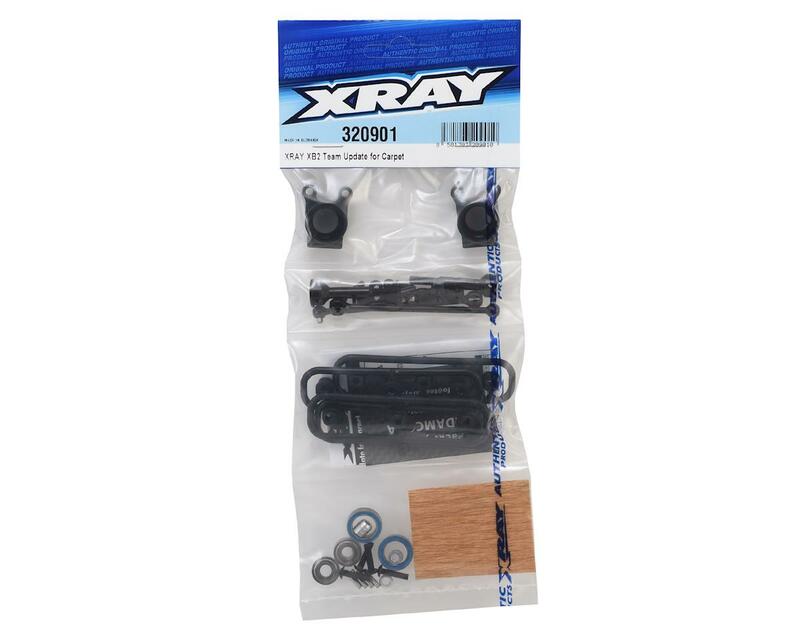 This limited-quantity upgrade set converts your XB2C into the same Spec version used by the Factory Team at carpet tracks. 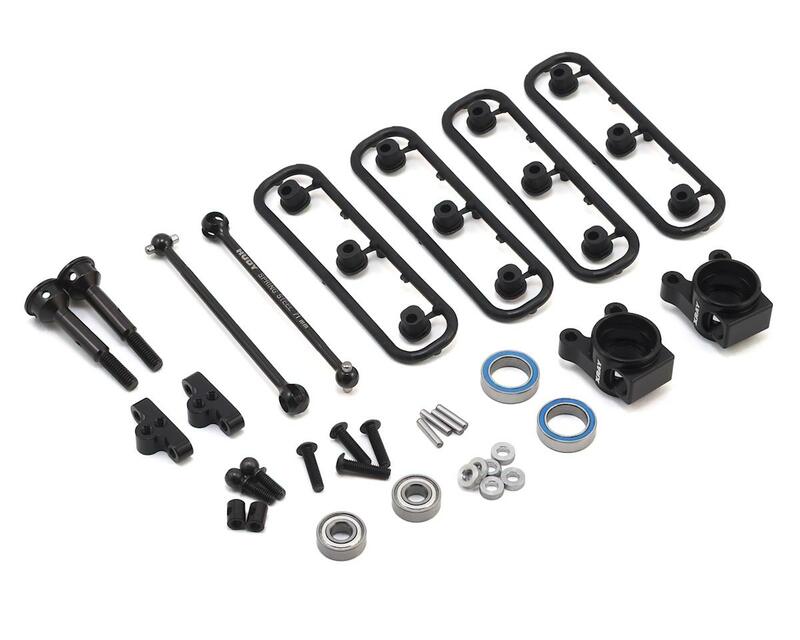 This complete set features all parts necessary for the upgrade: updated rear aluminum uprights, aluminum upright plate, longer drive shafts, ball-bearings, eccentric bushings, and all necessary hardware. The aluminum uprights feature multiple set-up options for upper & lower roll centers. The upper roll center is adjusted at the camber linkage via shims in all directions up/down & in/out, while the lower roll center is adjustable via eccentric inserts in 9 different positions up/down & in/out.